If you’ve had an epic pastry fail – don’t worry – let Paul Hollywood explain what went wrong and show you how to fix it so next time you bake the perfect pastry. This can happen if you use too much fat or over mix the pastry. The pastry may be too dry and may not contain enough liquid to properly bind the fat and flour. This can also happen if self raising flour is used. The pastry may be undercooked or you might have forgotten to make a steam vent. If you have a lot of sugar in your filling, or the filling is very wet, you may be better to cook the pastry first and add the filling halfway through baking. Pastry needs time to rest before it is rolled out and baked. The pastry may also have been overstretched when it was rolled out. The base of my pastry case has risen during baking. This can happen if self raising flour is used – only plain flour should be used when making pastry. You also need to carefully press the pastry into the tin, making sure that no air is trapped underneath. Pricking the pastry or weighing it down with baking beans or foil during baking. This can happen if too much sugar, or granulated sugar is used. 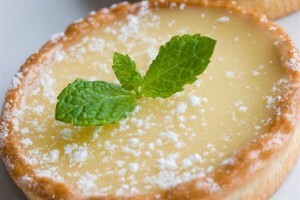 Caster sugar should always be used in sweet pastry recipes to enable all of the sugar crystals dissolve. You may have measured out the ingredients incorrectly or the water wasn’t boiling when you added the flour. The water may have boiled for too long and evaporated or you may have measured out the ingredients incorrectly. You may not have mixed the pastry well enough or the oven may have been too cool.